Read the latest company news, new service offerings, special events and press releases from Ryan Krane, Inc. below. This section is continuously updated with fresh news and information that will help you move better, feel better, and live better. Bookmark this page for quick access! Interested in reading contemporary topics on fitness, health, and corrective exercise? Every week Ryan Krane writes a newsletter chock-full of helpful tips and guides to help you move better, feel better, and live better. Check out a few samples of our articles below and sign up for Pain - Free Living Tips on the left/right column to receive exclusive articles direct to your inbox! Yahoo featured Ryan Krane on Yahoo.com. Ryan shared his secrets for helping people fight back pain. He gave tips that are simple, easy, and can be performed anywhere. Read more here. Jesse Torres featured Ryan Krane on Entrepreneur.com. Ryan shared 3 things that entrepreneurs must do to keep their business models relevant. You can read the full article here. Diane Sawyer featured Ryan Krane on REAL MONEY. Ryan was interviewed by Rebecca Jarvis who is a well-known news anchor for ABC News. In this show, Ryan shows a sneak peak of working with one of his virtual coaching clients. To listen to the show please click here. In this issue, Ryan addresses the importance moving and provides you with helpful strategies on how to prevent sitting for extended periods of time. Rofami provides businesses and individuals with educational resources, wellness products and services and access to a network of fitness and wellness experts. Orthopedic surgeon, Dr. Hill, featured Ryan on his widely-read health web site and discussed two simple tools to use when stretching and massaging your muscles - the foam roller and a tennis ball. He talks about how and where to use these tools for optimum tension release. Dr. Derek Hill, an orthopedic surgeon and specialist, utilized Ryan's expertise for a guest post on why over training is bad for the body and how we can spot signs that we're training too hard. Ryan gives parents some ideas for exercises that can be done outside while playing with the kids. He believes that making fitness fun is the key to getting children to enjoy a healthy lifestyle. In this issue, Ryan gives some helpful tips to trainers about enriching sessions with clients. In this article, Ryan stresses the importance of taking care of balance and posture as we age, so he offers three corrective exercises to combat the signs of aging. In Your Health Journal, a web site covering health, fitness and wellness, Ryan gives readers some tips about taking care of postural alignment to fight the imbalances that can occur as we age. He offers some corrective exercises to combat the degenerative signs of aging. In this article, Ryan explains how sit ups won't get you a "six pack" and can even be harmful. He also gives some suggestions for strengthening and toning the abdominal/core area. Some of Ryan's favorite exercises are here in Prevention magazine's article on the "5 Best Moves for your 5 Most Stubborn Trouble Spots." For a complete slideshow of the exercises, click here. Ryan gives some great tips for keeping your back healthy and strong during the holidays, which can be a stressful and busy time of year for many people. Back injuries could put a serious damper on festivities, but there are ways to strengthen your core and keep your back in correct postural alignment. Ryan identifies some great, fun exercises to do outside. 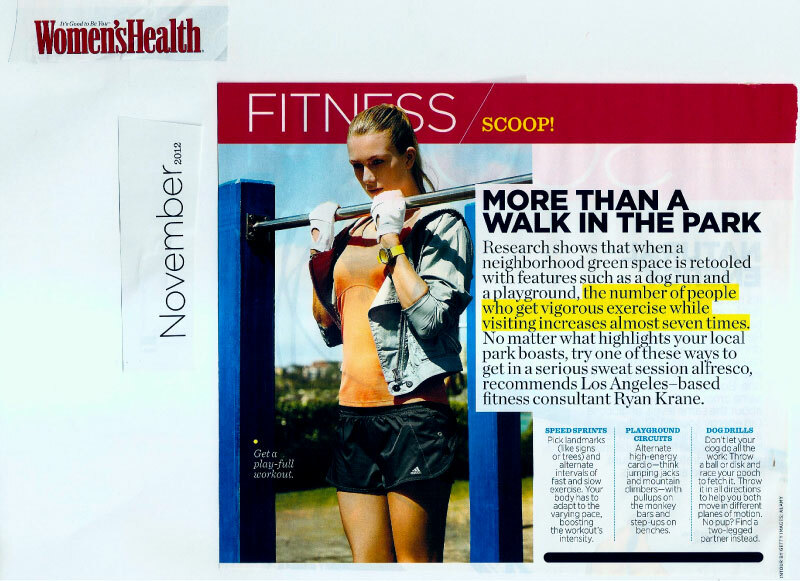 To check out the preview of Ryan Krane's exercises in November's Women's Health magazine, click here. Ryan discusses why the core is important and lists some exercises to help keep it strong. Ryan talks about a new trend in fitness -- the "spikey" ball, which can be used post-workout to eliminate tight spots and speed recovery. 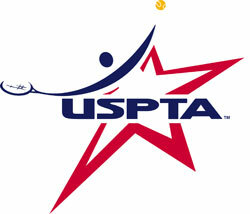 Ryan recently spoke at the USPTA (United States Professional Tennis Association) conference in Monterey, California. He joined an illustrious list of tennis professionals speaking on topics from fitness to social media strategy. Ryan addressed the conference to speak about "How to Prepare for the Rigors of Tennis" which included information on the importance of flexibility, massage (self myofascial release), static stretching and strengthening for tennis players. He also gave attendees some injury prevention exercises for the shoulder and low back. Ryan shares his expertise at various tennis, fitness and health conferences and meetings throughout the country. For more information on scheduling Ryan for a speaking engagement or to discuss newsletter or guest blogging opportunities, please contact Ryan at info@ryankrane.com. Ryan gives some great tips for being active with your kids. Exercising with kids shows them the importance of taking care of your body and staying healthy. Ryan's exercises can all be done in as little as ten minutes. The Pain Management and Injury Relief Medical Center featured Ryan as a guest blogger on their site, discussing the definition and benefits of corrective exercise. Ryan points out the benefits of using resistance bands for strength training routines and gives readers some great quad/glute exercises to try. In this article on prettyhardwork.com, Ryan writes about the dangers of a sedentary lifestyle and gives readers some advice for sticking to an exercise plan and why it's so important for our overall health. Ryan defines the term "anterior pelvic tilt" and discusses why it's important to use corrective exercise to alleviate the problem. Can You Relate to this "Weekend Warrior" Story? Ryan discusses the importance of maintaining a regular strength-training program and taking time for proper stretching before tackling strenuous activities like hiking. Ryan was interviewed by Metroseeker.com to comment on the tennis scene in Los Angeles. Metroseeker is the premiere "quality of life guide" that highlights various cities' strengths in an effort to help users find the best place for them to live, work or just visit. They interview local experts and celebrities to discuss their careers and life in their city so readers get the most comprehensive perspective of a city possible. Ryan discusses important stretches that can be done after a day of hiking in order to prevent injury. Ryan gives exercise tips for stregthening and toning leg muscles, including lateral tube walking and body squats. Prettyhardwork.com is a web site offering realistic tips and advice for getting fit and staying healthy. In this issue, Ryan addresses chronic pain, anterior pelvic tilt and how corrective exercise can help. Rofami provides businesses and individuals with educational resources, wellness products and services and access to a network of fitness and wellness experts. In Perform Better's May newsletter, Ryan identifies the top fitness mistakes people make at the gym and how to correct them. From botched bicep curls to screwed-up squats, Ryan points out how to make the most of exercise time by performing reps the right way. 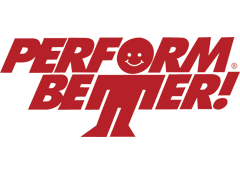 Perform Better is an online catalog company that specializes in functional training, rehabilitation and sports performance. Perform Better's staff of experts identify products that will help improve overall sports performance. Earth day is just on the horizon, so celebrate the outdoors by getting ready for the outdoors like beach life! Consider us your inspiring virtual fitness buddy, as we’ve partnered with Ryan Krane, Inc., a team of fitness consultants in Los Angeles, to give our L+C readers fit ready tips! The healthier you gives you increased endorphins, so you can be active at work and especially during all of your philanthropic adventures this Summer. Here are some exercises that won’t take much time, but will give you a full-body workout in 5 or so minutes. Plank to Pushup: begin face down with your arms shoulder width apart and your legs extended behind you. While in the Plank, raise up one arm at a time until your arms are fully extended. Return to the Plank position and repeat. Do 1-3 sets of 10-15 reps.
Place your feet shoulder width apart with your arms out in front of you at shoulder height and squat down to the height of the chair, or to where you feel comfortable. Remember to keep your feet/knees facing straight forward. Do 1 to 3 sets of 10-15 repetitions at a slow tempo. Place a resistance band around your ankles with your hands on your hips and walk laterally for 10-15 steps. Always remember to have your feet facing forward. Do 1-3 sets. This will burn. Place a resistance band around a sturdy object and pull band back with your arms adjacent to your body while standing up tall and engaging your core. Make sure to squeeze your shoulder blades together when performing this exercise. Do 1 to 3 sets of 10-15 repetitions at a slow tempo. Ryan Krane, Inc. is a supporter of The American Red Cross. Ryan Krane, Inc. is a fitness company dedicated to helping people move better, feel better, and live better. Their proprietary corrective exercise program, The Krane Training Method ™, relieves chronic pain, improves performance, and enhances quality of life. In this pre-Earth Day article, Ryan gives L + C readers tips on exercises that can be done outside with minimal equipment. Lifestyle + Charity (L+C) is an online magazine for philanthropic brands and experts, focusing on giving back to the non-profit and charitable world through beauty, entertainment, fashion, fitness, food and travel news. All experts, sources and brands featured must have a charitable tie. Ryan works with the American Heart Association through various speaking engagements throughout the year. There are a number of strength training exercises beneficial for runners. As if running 20+ miles a week isn't enough... I know. But, it isn't. Running 20+ miles a week is actually the very reason you should be adding strength training to your routine. Our expert fitness consultant, Ryan Krane, has shared 4 key reasons why strength training is important, then elaborates for us on how to reduce a common (and sometimes painful) issue with runners, over-pronation. Why Do Runners Strength Train? Over-pronation occurs when the foot collapses too far inward stressing the plantar fascia (the area underneath the arch of the foot.) Normally, one pronates every time he/she walks, but excessive pronation is called over-pronation. When this occurs it affects the feet, knees, hips, low back and even the shoulder. Massage and stretch the calves to increase dorsiflexion at the foot/ankle. Dorsiflexion is the bending at the ankle. By improving the dorsiflexion, one will have more flexibility at the ankle, which will allow the foot to over-pronate less. Massage the IT Band with a foam roller or tennis ball to quiet down the tightness throughout this part of the leg. The IT Band attaches from the glute maximus and runs down the side of the leg into the knee area. When the IT Band is tight it will accelerate the force of the leg moving inward, which will cause the foot to move inward as well. It is often that tightness through the IT Band that promotes over-pronation. Strengthen the glutes to slow down the force of the foot moving too far inward. Most individuals who over-pronate have weak glute muscles and strengthening this area is a must. 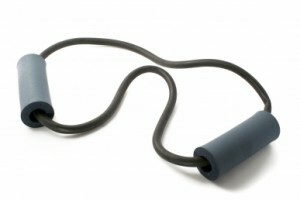 A simple exercise to strengthen glutes is lateral tube walking across a field/court/room. Place a stretch band around your ankles and move your leg sideways while keeping your feet forward. Decreasing over-pronation, which is very prominent in runners, will help add endurance, speed and efficiency to your run and ultimately place less stress on your body. Ryan identifies mistakes people often make at the gym or when performing muscle-strengthening exercises. The Runyon Canyon Site features everything from photos and videos of the Canyon, to recipes and workout routines to interactive maps and a full-store. Ryan defines over-pronation and talks about how to prevent it. He also discusses how decreasing over-pronation can add endurance, speed and efficiency to your run and ultimately place less stress on your body. Ugly Finish is a web site that provides training techniques and encouragement for distance runners. Ryan was a guest on the radio program "Tough Talk" with host Tony Gambone. In this program, Ryan discusses causes of chronic pain and how corrective exercise and the Krane Training Method can help. Tony Gambone's show allows guests to discuss their businesses, motivations, goals and what makes their companies' different. His expert guests are from many varied businesses and industries. 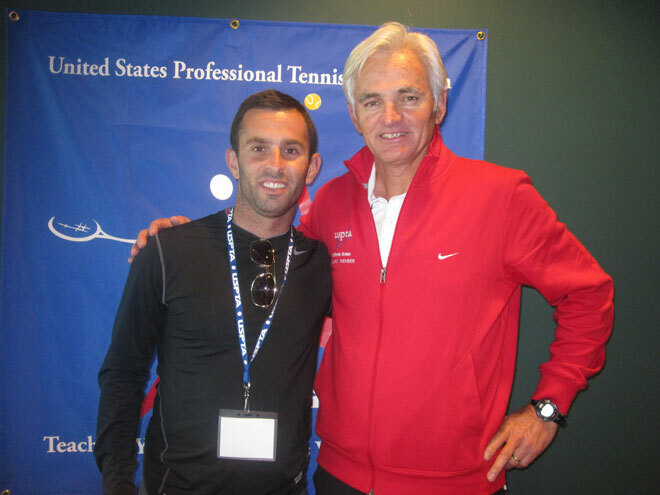 Ryan Krane (left) stands with the president of the USPTA California Division Pierre Mareschal on January 29, 2012 at the Home Depot Center, where he spoke to 150 tennis coaches from the around the Los Angeles area. On Nov 15th Ryan was a guest on the radio talk show Living with HOPE, which you can listen to right here! Bryan Brother's Event: On Oct 23rd I was fortunate enough to be a guest speaker at the Bryan Brother's Foundation. At the event I was speaking to various tennis coaches who are affiliated with the United States Professional Tennis Association (USPTA). On Oct 11th I was fortunate enough to be a guest speaker at Lululemon Calabasas where I spoke on injuries related to running. I was specifically talking on IT Band Tendinitis and Plantar Fasciitis. The audience really enjoyed my talk and took some great takeways from the meeting.